Washington. D.C./New York City. Perhaps I should be thankful that I am not an U.S. citizen at this time and therefore I have not the right to vote for Senator Barack Obama or Senator John Mc Cain. In October 2007 I have written to the U.S. Department of Justice in Washington, D.C, United States of America (U.S.A) and have requested according to ARTICLE 15, according to the UNIVERSAL DECLARATION OF THE HUMAN RIGHTS by the UNITED NATIONS the change of citizenship from the German citizenship into the American citizenship. Certainly I do make no secret of the fact that I want to become an U.S. citizen. By birth I am a French-German citizen and since 1984 I am working as journalist, author, broadcast journalist and even as independent television- film- radio- and media producer. Some of the so called Christian believers have issued news and press releases which should be accounted for what they are: SMEAR CAMPAIGNS against Senator Barack Obama. This could be perhaps even called racism. However I do not want to go this far. These so called Christian believers claim to know that Senator Barack Obama is a Muslim. Since weeks I am doing a lot of research on Senator Barack Obama and so far as I have been able to gather the news and information he is not officially known as a Muslim believer. However even if Senator Barack Obama would be a faithful man of the Muslim faith, there would be nothing wrong with such a thing according the the CONSTITUTION OF THE UNITED STATES OF AMERICA and both of the Presidential candidates, Senator Barack Obama and Senator John Mc Cain have caused me to study again and again the UNIVERSAL DECLARATION OF THE HUMAN RIGHTS by the UNITED NATIONS and the U.S. CONSTITUTION and many other issues. However therefore I give thanks to both of the Presidential candidates. As you are able to imagine I would love to know already today who will become the next President of the United States of America but we have to wait until November 4, 2008. One thing seems to be certain: The candidate which will be able to get more votes for himself and his party will become the next President of the United States of America. What I find quite difficult in concern of these so called christians which issue all kind of information during a worse SMEAR CAMPAIGN against Senator Barack Obama, have these Christian believers forgotten, that in the Bible it is written to love 1. The LORD our God, 2. your neighbor as thyself and even 3. to LOVE YOUR ENEMIES. Why is number 3 this important. Even if some so called Christian believers would account Senator Barrack Obama as an enemy they have by no means the right to issue information against Senator Barrack Obama during a smear campaign. Christian believers are supposed even to LOVE their enemies and not to harm them during any kind of smear campaign. Another serious strange thing: So many so called Christian believers are fighting against abortion, which seems to be a serious Christian important duty. But on the other hand they are supporting the death penalty such against Troy Davis which has testified in the public that he has not killed the police officer. Seven of nine witnesses have withdrawn their given testimonies against Troy Davis. There is not one physical evidence that Troy Davis has killed a person or police officer. It does not match if so called “Christian believers” do support the death penalty even against a possible innocent man. Hear the statement of Mr. Troy Davis yourself: http://www.youtube.com/watch?v=Rg3cJOdzO1A. He said that he serves in prison for 16 years for a crime which did he NOT commit. So how in the world so called “Christian believers” can fight against abortion on one hand and on the other hand they do cry for the murder of a possible innocent man, such as Mr. Troy Davis. Where in the world are these millions of so called Christian believers to take action to avoid the killing of an innocent man. True believers in Christ would do so, but there are not many of them so far as we have been able to notice. If some one calls herself or himself to be a “Christian believer” it does not mean always that they are true believers, because true believers would not allow it going to happen that a possible innocent man is going to be killed in the state of Georgia on October 27 and true believers would not participate a SMEAR campaign against one of the Presidential candidates. 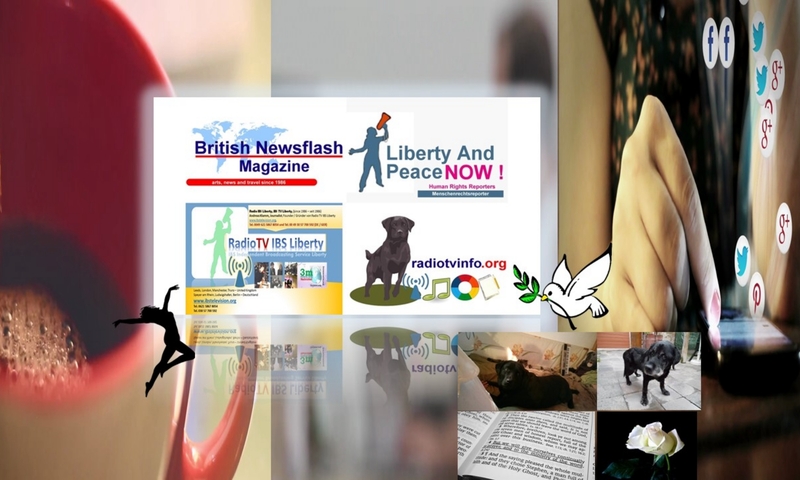 Therefore PLEASE understand, IBS Independent Broadcasting Service Liberty, Radio IBS Liberty, IBS Television Liberty is providing all different kind of news and information, television and radio reports since 1986. IBS Independent Broadcasting Service Liberty is operating under LOW- and NO-budget conditions and under ARTICLE 18 and ARTICLE 19 of the UNIVERSAL DECLARATION OF THE HUMAN RIGHTS. For reason of documentation we do even publish news and information which are totally different to our own views, beliefs and faith. With most of the news and information which we do provide we do not agree in any way. Certainly we do publish news and information which are totally in contradiction to our own political views, faith or belief. ARTICLE 18 and ARTICLE 19 of the UNIVERSAL DECLARATION OF THE HUMAN RIGHTS by the UNITED NATIONS make such things possible, so far as we do receive under BEST circumstances all different kind of information, that people, meaning our readers, viewers and listener can make their own decision. When it comes to the point that we are getting aware of the fact that so many news and press releases have been issued against one person or organization we are making AWARE our readers, viewers and listeners of SMEAR campaigns but we do not oppress the documentation of any kind of information and news. We are receiving a lot of news and press releases issued by the United Nations also but we are not associated with the United Nations. We are an alternative and „independent“ media meaning that financial restrictions do apply as we do operate under LOW- and NO-budget conditions and all people do know that the production of news, information, radio and television programs and all kind of different work COSTS MONEY. After the smear campaigns against Senator Barack Obama got this worse I need to ask you hereby today to VOTE INDEPENDENT as possible. Make your vote based upon education, financial, political and social issues but DO NOT PAY ATTENTION to brainwashing SMEAR CAMPAIGNS against one of the Presidential candidates. Perhaps you should consider that these so called „Christian propaganda“ is not even Christian, as you have learned Christian believers are supposed to love 1. The LORD our God, 2. your neighbor as thyself and even 3. to LOVE YOUR ENEMIES. Not one of the Presidential candidates is an enemy in concern of belief or faith related issues. All of the Presidential candidates are candidates for the U.S. elections in the United States of America and in this world.